Welcome to the first episode of The Deeper Learning Podcast. Produced by the Orange County Department of Education, this podcast is intended to explore education and learning at a deeper level. With each episode, you’ll hear compelling narratives about people who have pursued answers to life’s important questions and strived to make a difference, sometimes persevering against great odds. Our very first story centers on a landmark court case that shattered many of the legal justifications for segregating public schools and laid the foundation for the famous Brown v. Board of Education decision. And it all started with one family from Orange County. To start listening, you can click here or on the graphic at any time. But we hope you’ll subscribe to The Deeper Learning Podcast on iTunes, where new episodes will be posted. Listen in your car. Listen on a walk. Listen while doing the dishes. Listen with your class. There are numerous opportunities throughout the day to engage in deeper learning, and you can share feedback with an iTunes review or by emailing communications@ocde.us. Bernstein, S. (2011). Bridges of Reform: Interracial Civil Rights Activism in Twentieth-Century Los Angeles. Oxford: Oxford University Press. Strum, P. (2010). Mendez v Westminster: School Desegregation and Mexican-American Rights. Lawrence, KS: University Press of Kansas. Tonatiuh, D. (2014). Separate is Never Equal: Sylvia Mendez and Her Family’s Fight for Desegregation. New York: Abrams. Wenkart, R. D. (2016). Mendez v. Westminster School District. Inquiry and Analysis, December 2016. 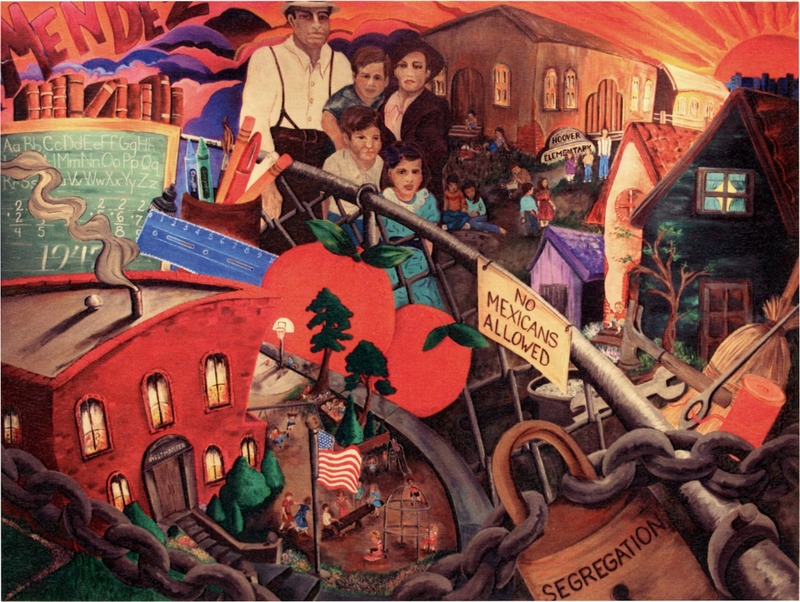 Photo of Mendez v. Westminster painting located in the California Court of Appeal, Fourth District, Santa Ana, Calif.